FLAT RATE monthly price. There are NO fuel fee, environmental fee, recycling fee, rental fee, or activation fee for any of our clients! We maintain our roll-out carts by deodorizing, & sanitizing with each pickup from April through November. Servicing Residents in : Weston, Wayland, Lincoln, Sudbury, Needham, Millis, Medfield, Sherborn, Shrewsbury and Southborough..
We offer two options of residential service. These options are: curbside service (collection at street side) or garage service (collection at or within your garage). 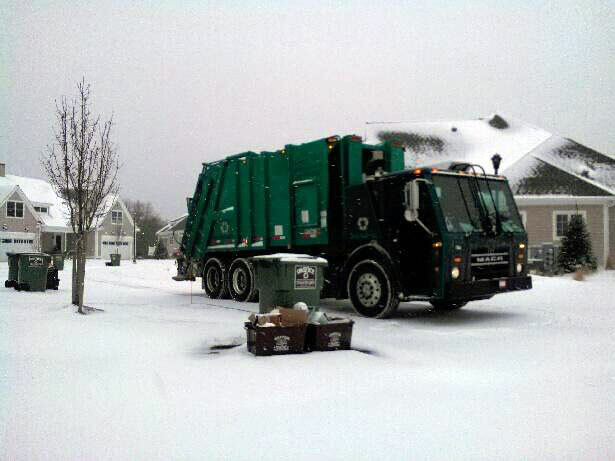 Specializing in residential ONE STOP weekly waste and recycling we allow our clients to dispose of ALL of their waste & recyclables each week, without dealing with alternating collections schedules for recycling (all recyclables collected each week). Included in the both service options each of our new clients receive new roll out carts and containers for all waste and recyclables. These containers are deodorized while in service at your home when the truck arrives for scheduled collection from April through November keeping up the appearance of the carts while keeping the odors out. As apposed to the large companies, we allow our clients to exceed the capacity of our carts by an additional barrel or two of household trash from week to week, without being fined or charged any extra. The only time that you will see an additional fee is if you have us provide an additional service. 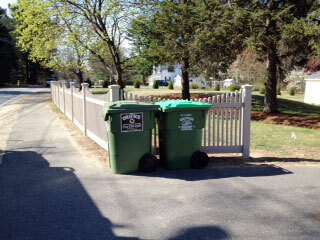 For example we offer Yard Waste, Large Bulk item, and Appliance collections for any of our clients at extended rates. Please call ahead to schedule and negotiate collection of item. 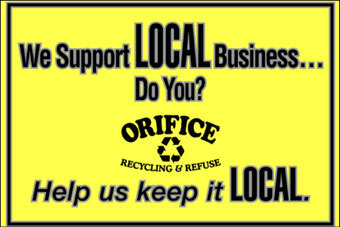 Orifice Recycling & Refuse is a fast growing small business based out of Natick. Derek Orifice is the founder of the company who built it from the ground up in 2007. Derek and his customers would agree that he has set a trend with his personal approach, determined customer relations, and his BIG on SERVICE not on price rates for the waste and recycling industry.